VIP operations that must have the highest level of safety. Exposure to data mistakes, faulty decision making due to incorrect data, or total loss of company safety data. 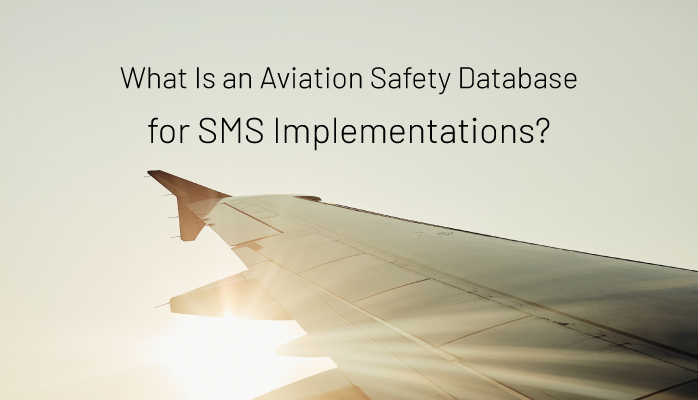 Data management in an aviation SMS is a critical decision-point early in the SMS implementation process. How the SMS stores and retrieves data is not a trivial process that be easily changed. Data management decisions made early will shape SMS performance and an SMS' adaptability for years to come. Do not take this lightly, as many operators have already made mistakes that you can avoid. Point solutions may already exist in your organization, but were acquired to address another business need that may be unrelated to the SMS documentation requirements. paper SMS for enhanced marketability of the company's services. In short, not every SMS implementation requires an SMS database. Before you consider the SMS database, safety managers are urged to review organizational goals. 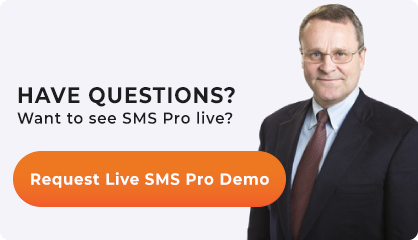 More than a few safety managers have become disillusioned with their SMS implementation after discovering that the accountable executive wants a "show-piece," and not a fully functioning SMS. In these cases, a spreadsheet SMS may suffice, especially when regulatory oversight is nonexistent or their oversight activities are inconsistently applied. An small upgrade from a "spreadsheet-managed SMS" might be another application that serves a singular function like a "point solution" that we referred to above. A point solution would be used to perform one duty, but would have more tools than a spreadsheet. However, these solutions are not integrated with the rest of the functionality and data within an aviation SMS. A safety database saves considerable resources because its entirely integrated. All tools, all required SMS documentation and performance data in one place that can be easily queried and analyzed to demonstrate SMS performance. Gaining the ability to automatically perform complex data operations, such as to acquire specific safety performance metrics. An aviation safety database does more than simply replace a spreadsheet. It completely overhauls, connects, centralizes, and automatically interacts all spreadsheets together. Furthermore, the safety database has configurable business logic that enforces desired business work flows and business processes. Safety databases allows safety information analysis and sharing in ways that spreadsheets or point solutions cannot even begin to match. Here are a few more elements to understand what an aviation safety database is and how it differs from manual spreadsheets. You use point solutions, which are basically spreadsheets on steroids, that will automatically input data for a single business process. Difficulty in creating security measures for controlled access. Will all require manual work to extract any meaningful data. One of the primary benefits of any database is that professionally designed, commercially available databases ensure nearly 100% consistency of all information. One piece of data will appear the same everywhere. If that piece of data changes, it will change everywhere. Continually improve the quality of decisions as you explore more complex metrics. Moreover, databases are backed up and changes are logged. So in the event of a mistake, accidental deletion, or corruption, data loss is not a major concern. Service providers will eventually realize that safety and headache benefits aside, databases save companies a lot of money. Accountable executives will need regular assurance the SMS is performing as designed. The final point is worth stressing. For every SMS, the accountable executive is responsible for a fully functioning SMS. The SMS is not just for a particular department or division, like flight ops or maintenance. The accountable executive needs to ensure the SMS is performing in all areas of the organization. In order to regularly monitor SMS performance, an SMS database is the correct technology. Are you still using spreadsheets or point solutions? A low cost, commercially available SMS database solution takes away your pain. Accountable executives can be assured that their SMS is managed using industry accepted workflows. Remove auditing fear with a best-in-class SMS database. Published October 2016. Last updated April 2019.